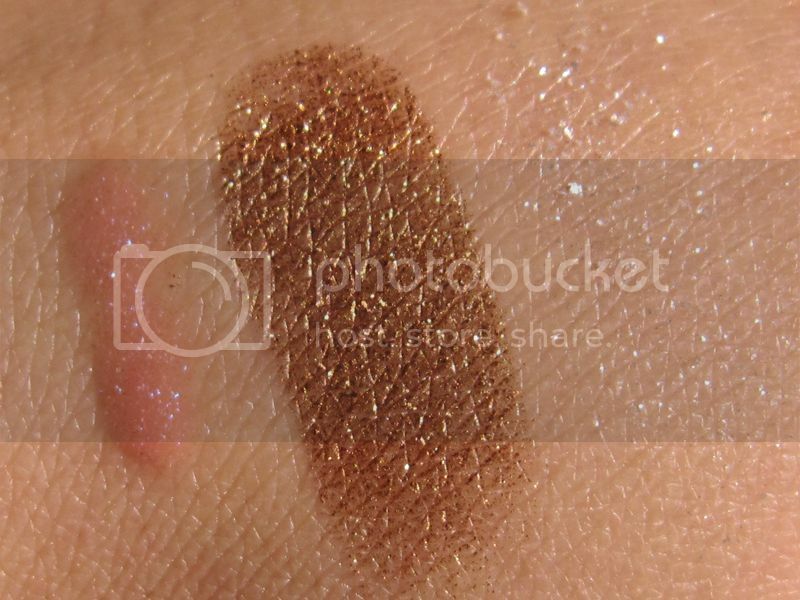 I had a look at MAC's Magic, Mirth and Mischief collection on the day of my makeover, and to be honest, this collection actually underwhelmed me. 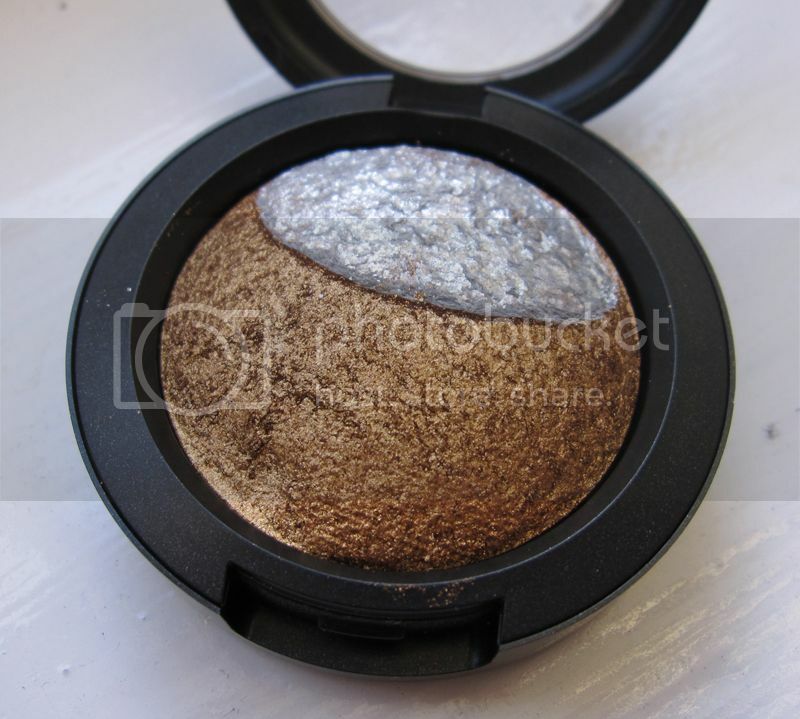 The only things that caught my eye was Mayhem mineralized eye shadow (pictured above) and the lilac one - Devil-May-Care. However, I thought Devil-May-Care was similar to the lavender fourth of Girlish Romp that I got from an earlier collection this year, so I passed on that! Of the lip glosses, Jingle Jangle dazzleglass was pretty, but I thought it was alright to pass it up. The lip products were pretty 'meh', and the blushes were similar to the beauty powder blushes from last year's holiday collection, which I already bought since I loove the beauty powder blushes, so I passed on that too. 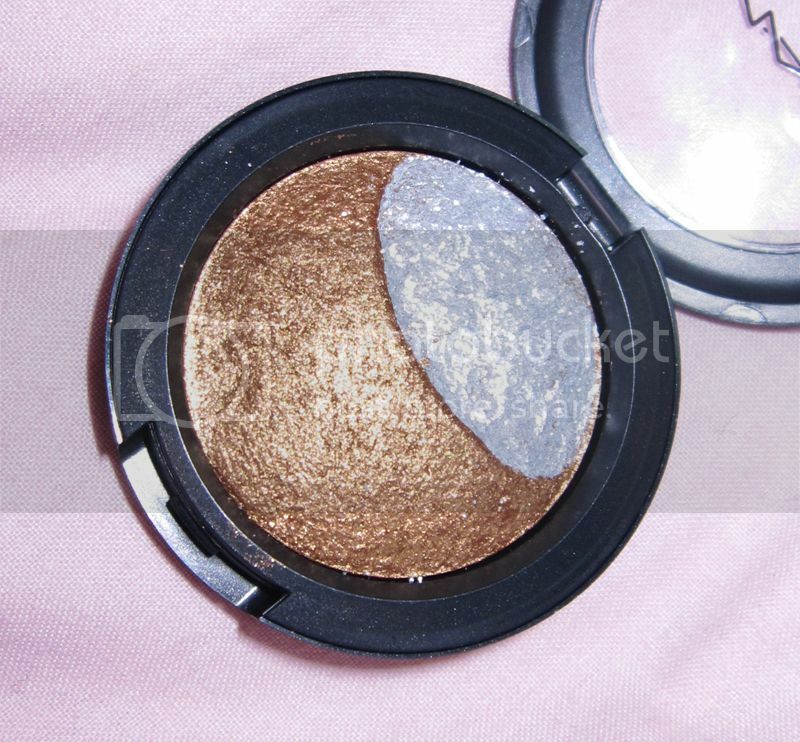 So from the collection, I walked away with only Mayhem eyeshadow, which is the gorgeous gold one. 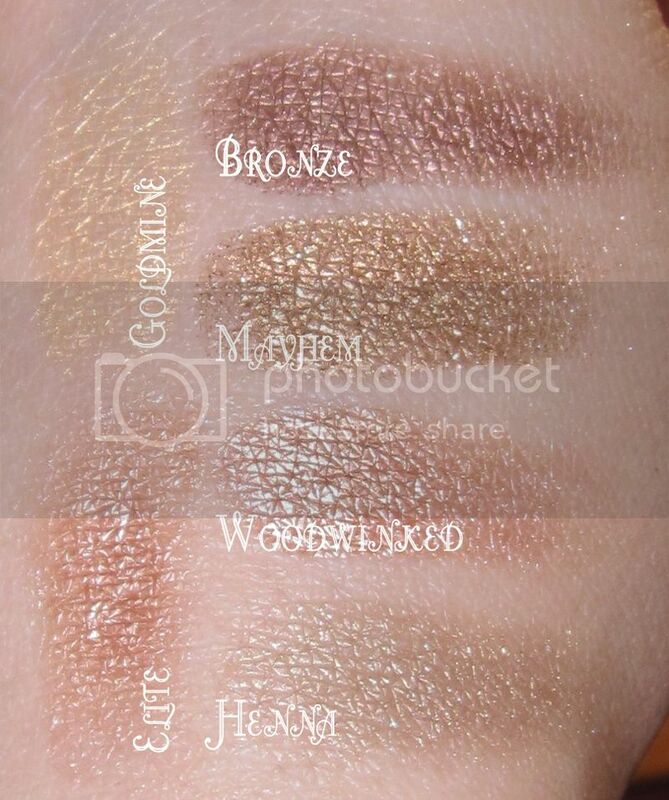 Its a lot different from the other 'gold-toned' MAC eyeshadows I've come across in the past! I also bought Baby Sparks dazzleglass, the one the MA used on me for my look. Its so pretty!! 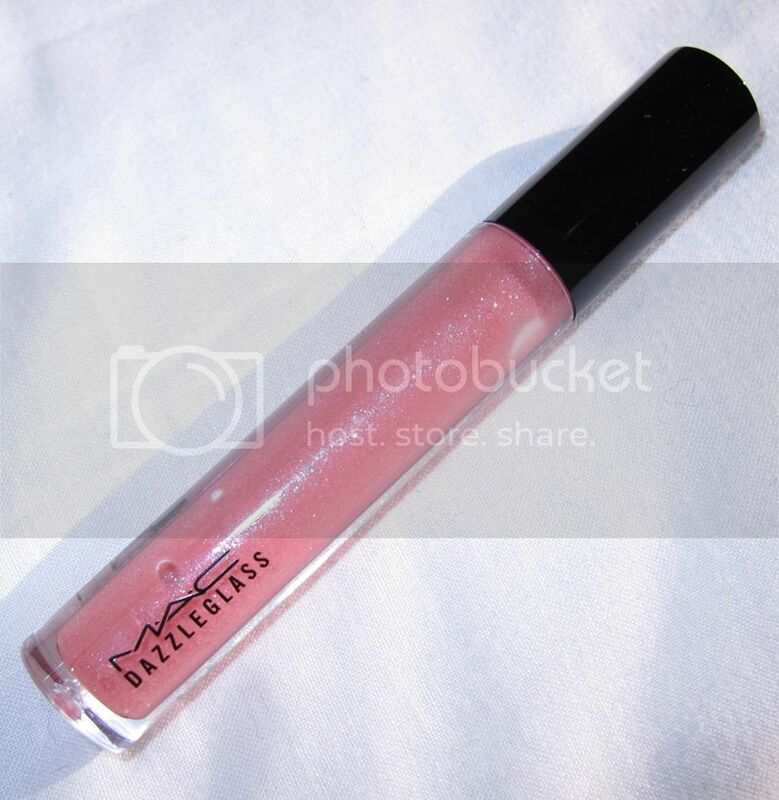 It also comes in a set with Dream lipstick and a mini Dervish lip liner, but I thought Dream was just sooo sheer! I have many frosty light pink lipsticks, and a sheer one is just not worth it. So I just bought Baby Sparks individually instead. So far what I got from this collection was Jingle Jangle dazzleglass becuase it's gorgeous!! I couldn't pass up on that dazzleglass. I also got Partial To Pink cremesheen glass since I missed out on it when Creme Team came out. 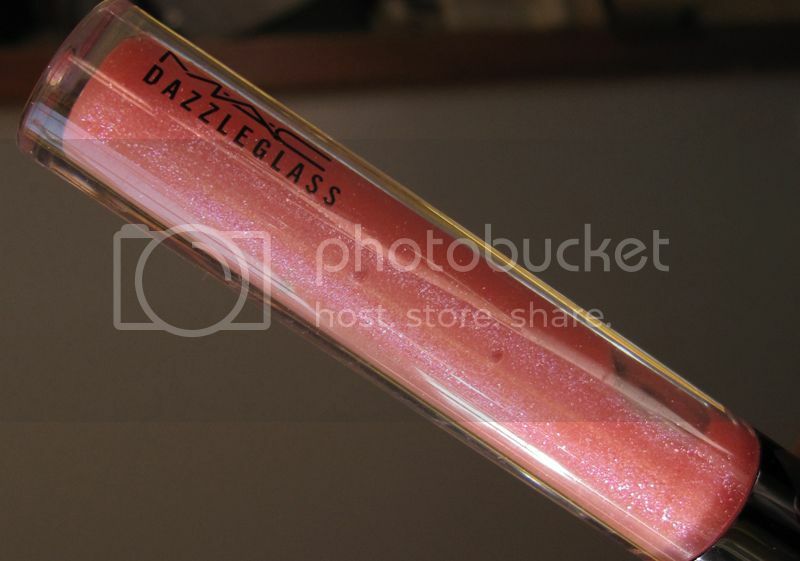 I have She-Zam dazzleglass and Surprise Me lipstick coming in the mail sometime this week. @Linda- Yeah, baby sparks is sooo pretty. I can't believe I didn't purchase it before! Ooh I like mayhem it looks really pretty! I definitely like the gold tint in it. Oh, and thanks for reminding me that I have Goldmine! Your blog is beautiful! 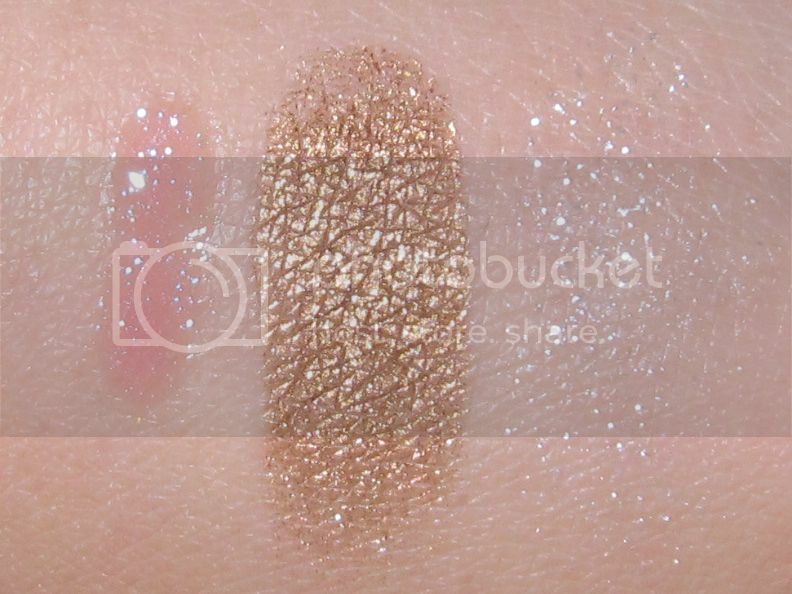 I found you on specktra from your Pro store makeover FOTD. 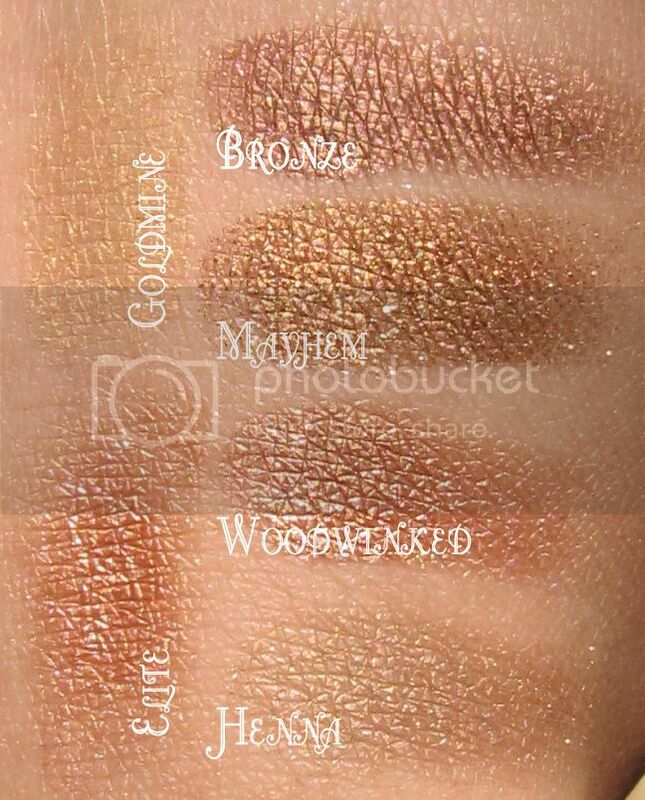 I haven't checked out this new MAC collection yet but I want to go to the pro store soon! My First Too Faced Eyeshadow! Oooh the Difference a Top Coat Makes!! 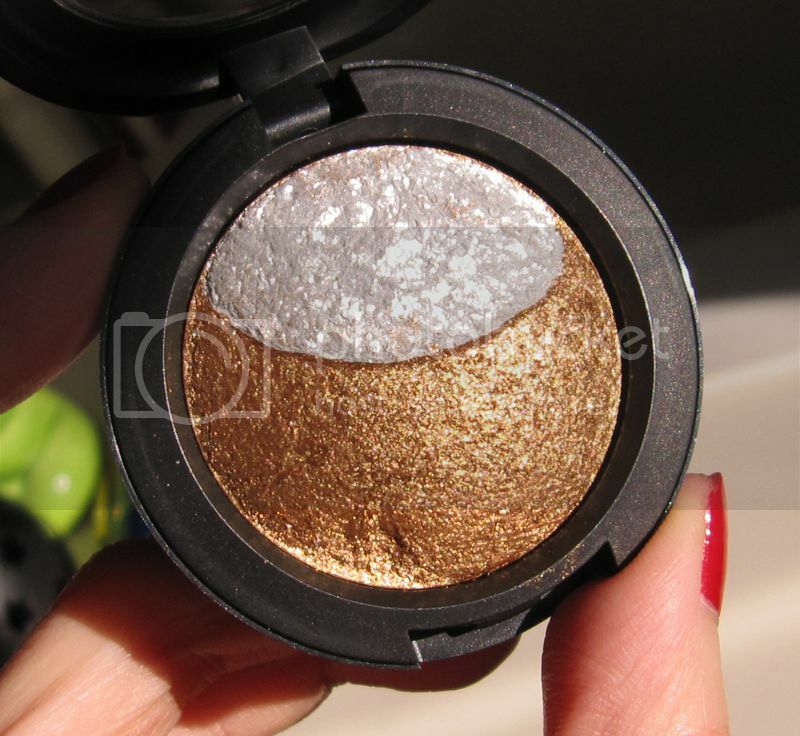 LOOK: Antiqued Gold & My FIRST MAC Makeover!! LOOK x 2 : Batman Villains!! TAG: Colour Tag - Grey!!! LOOK: Smokey Blues with Sleek Sunset Palette!